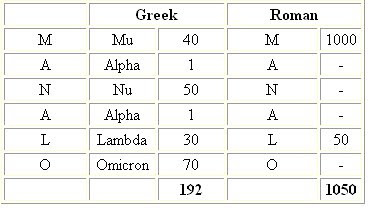 Error in the Bible? ANSWERED !!! 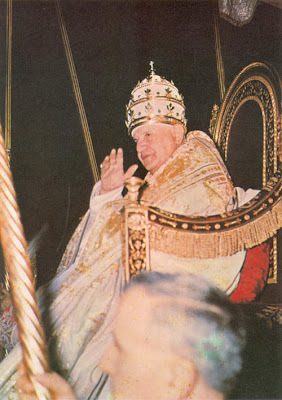 What is the History of Your Church? 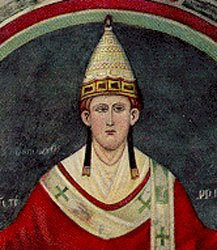 When Was The Catholic Church founded? CFD San Carlos Borromeo Parish Chapter, Neg Occ. 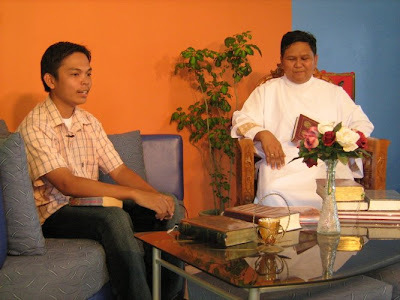 veritas899 – Cielbert A. Dondoyano, Sr.
Last August 24, 2008 our program received a text message from Mr. Jerry of Casiguran requesting us to discuss the ‘Mark of the Beast‘ from the Book of Revelation. 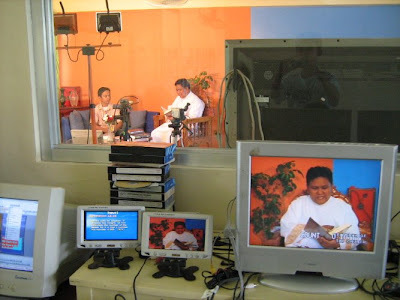 He states that it is frequently presented in the Hope Channel and is eager to know the answer of the Catholic Church. 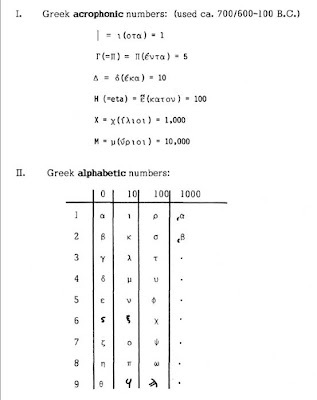 As a response we decided to dedicate our next program on the topic. What is presented here is a mere portion of what we discussed on air but we hope to provide the basic answer to our readers. 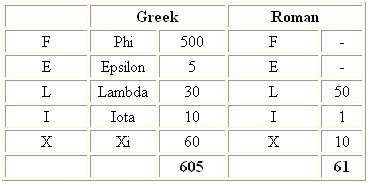 • Based on the above citation the Mark of the Beast corresponds to a man’s number or the number corresponds to the name of a human person. 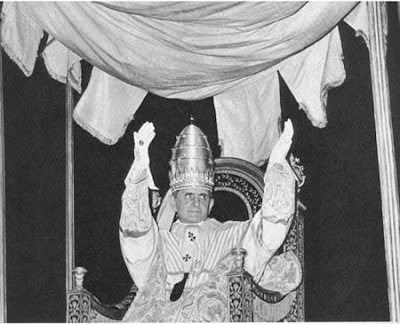 • As a proof they claim that the title Vicarius Filii Dei is written in the tiara of the Pope. 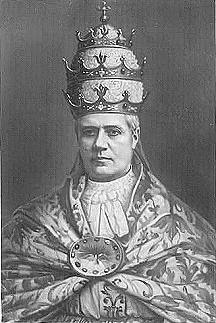 • Four sources are sometimes given to back up the claim, including two witnesses who claimed to have seen Pope Gregory XVI wearing a tiara with Vicarius Filii Dei on it in 1832 and 1845, the purported existence of a photograph of an early twentieth century papal funeral showing a tiara with the writing, and the assertion that the tiara with the writing was used to crown Eugenio Pacelli as Pope Pius XII in 1939. •None of the claims holds up to scrutiny. 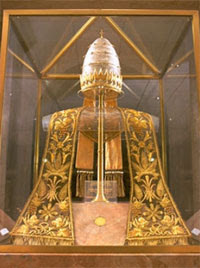 One of the occasions where the Pope was “seen” wearing the tiara was supposedly during a Pontifical High Mass in St. Peter’s Basilica. 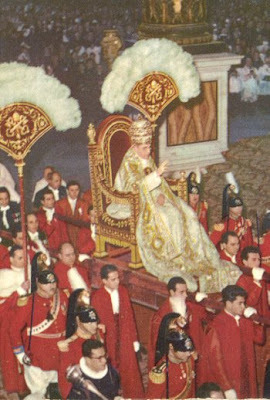 In fact popes never wore tiaras during Mass. 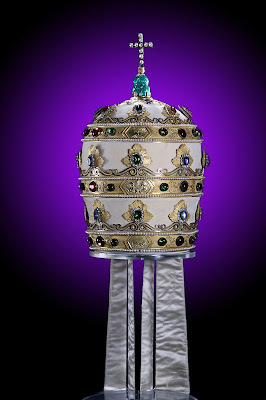 It was never used as a liturgical item. 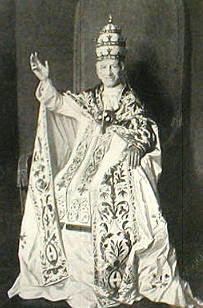 In addition the tiara used for Pius XII’s coronation in 1939 could not have been worn by Gregory XVI as it was manufactured thirty-one years after Gregory’s death. 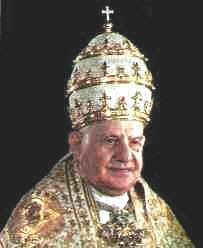 All the tiaras potentially worn by Gregory still exist; none have writing, nor does the tiara worn by Pius in 1939. 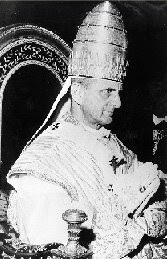 •Finally, no evidence as to the existence of the supposed photograph has been produced, nor is it credible that a black and white photograph, taken from a distance inside a darkened St. Peter’s Basilica, in the absence of modern photographic technology or even zoom lenses, could have picked up writing on a far-away tiara, had such writing existed. 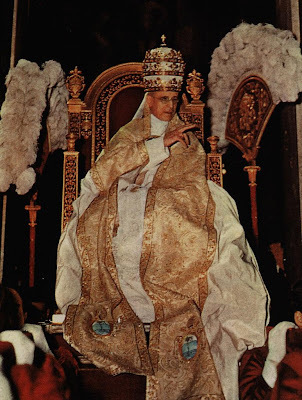 A photograph of a tiara supposedly on the High Altar behind the coffin of Pope Pius X, at his canonization in 1954 decades after the supposed original photograph, could not see the jewels on the tiara, much less any supposed writing. 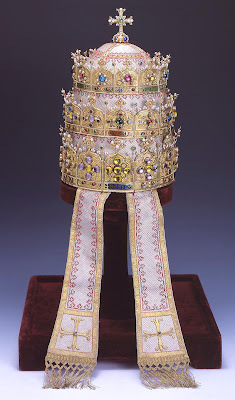 • Contrary to claims of a cover-up, all tiaras manufactured since 1800 still exist and are on public display, with a number being sent around the world as part of the Saint Peter and The Vatican: The Legacy of the Popes exhibition which visited the United States in 2005. 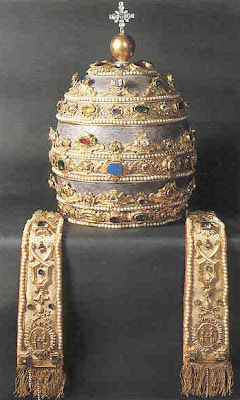 Only a handful, notably the Belgian Tiara of 1871 and the Gold Tiara of 1903, have any writing at all. 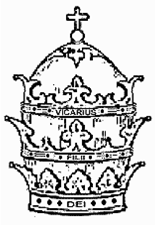 The 1871 tiara’s inscription is not Vicarius Filii Dei or anything that could be confused with it, but CHRISTI VICARIO – IN TERRA – REGUM (To the earthly Vicar of Christ). 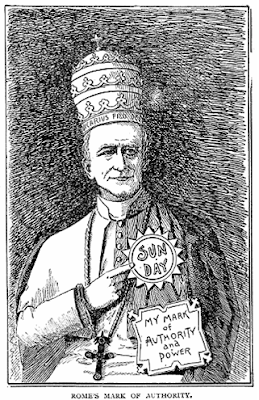 •Many historians, academics and mainstream religious leaders view the story as a classic anti-Catholic myth, a story for which no evidence has been found. 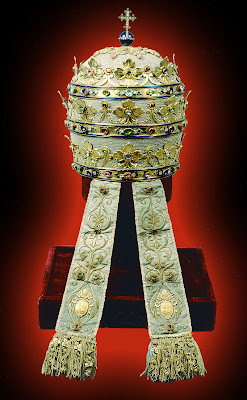 Even some Seventh-day Adventist scholars no longer support the view that the “666” of Revelation relates to any inscription on a papal tiara. 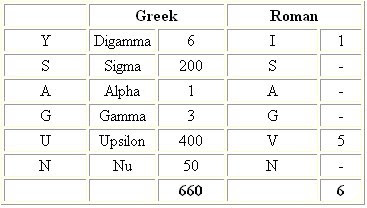 • DOMITIAN The German Protestant theologian Ethelbert Stauffer, arguing that gematria had been the most popular form of numerology not only among Jews but also in the Graeco-Roman world, conceived a Greek gematrical procedure to explain the number 666. 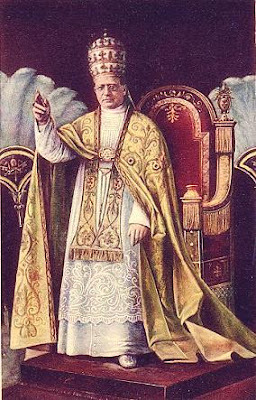 Judging from the precise information that the Book of Revelation gives about the person behind the number 666, Stauffer concluded that the “beast” can in general only refer to a Roman emperor and that this Emperor must be Domitian, because he had reigned during the proposed time of origin of the Apocalypse and supposedly was called “The Beast” as a “secret derisive nickname” by Romans, Greek, Christians and Jews. 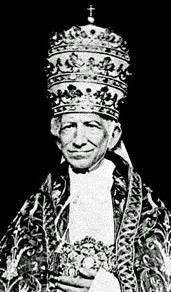 * The INC must have realized that their attacks had boomeranged on them because nowadays there are many calculations of the name FELIX YSAGUN MANALO that sums to the number 666. 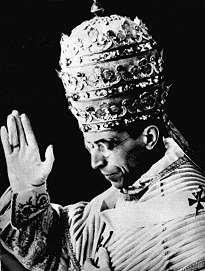 On the part of Catholic Apologists, it is not the official doctrine of the Catholic Church that Felix Manalo or Ellen Gould White are Anti-Christs. 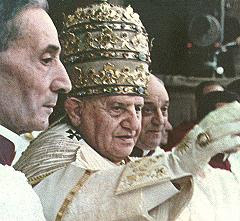 However, we are showing their followers calculations of their founders’ names in order to show the ridiculous nature of their accusations against the Catholic Church especially to the Pope, the Vicar of Christ on Earth. 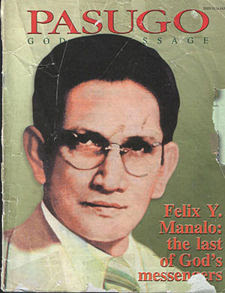 IN ONE OF THE BLOGS LISTED IN OUR LINKS ENTITLED PASUGO BLOGSPOT OR SAVINGTHE RAINFORESTS THE BLOGGER GAVE US A MORE SCHOLARLY CALCULATION OF THE NAME OF FELIX MANALO USING THE GREEK AND ROMAN NUMERIC VALUE. We were not able to present this calculation on TV because I only learned of SAVING THE RAINFORESTS the first week of September.